If your credit score is low these days it might be pretty difficult to get financing for a mortgage. There are loans out there that don’t have credit score requirements, but the banks that provide the financing have their own internal requirements. For example, FHA loans which are government insured loans don’t have a credit score requirement to insure the loan, but the bank that underwrites the loan will have their own internal credit score requirement to even approve the loan. Federal Housing Administration is what FHA stands for. This is a department of Housing and Urban Development (HUD) that insures loans underwritten by banks. Banks are more anxious to provide FHA financing due it being less risk to the bank. 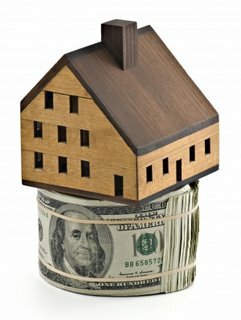 If a borrower forecloses on the FHA loan HUD buys a portion of the loan back. So in all reality this loan is a lot more attractive for banks to lend with. With all the banking rules changing currently, FHA is still the strongest and most aggressive loan out there. The caveat is the banks have gone to credit score requirement for FHA loans. The current standard is a middle credit score of 580. I know HUD is really concerned about this but they don’t underwrite the loan, the banks do. The reason for this credit score requirement is because there has been a pattern with borrowers below a 580 credit score. These types of borrowers are foreclosing on their homes. Typically when banks portfolio their own loans they monitor certain foreclosure types. If there are too many foreclosures of one particular type of borrower, they raise the bar on underwriting requirements. So with this being said you need at least a 580 middle credit score to get FHA financing these days. So if you are wondering what your credit score really is, you might consider pulling a copy of your free credit score report. That is the most proactive way to determine your buying power. It also is a great way to see if there are any incorrect information that could be dragging down your credit score report. You are currently browsing the archives for the free credit checkf category.